The second Jaguar S prototype (S.07), XW563 first flew in 1970 and went on to become the Jaguar International demonstrator. Retired in 1977 to become a weapons loading trainer with the RAF. Over the years she's become rather a mixture of bits, but the nose and fuselage are original. On display at Brüggen for some time, with the withdrawal of the RAFG Jags to the UK, she was moved to RAF Coltishall in 2001. 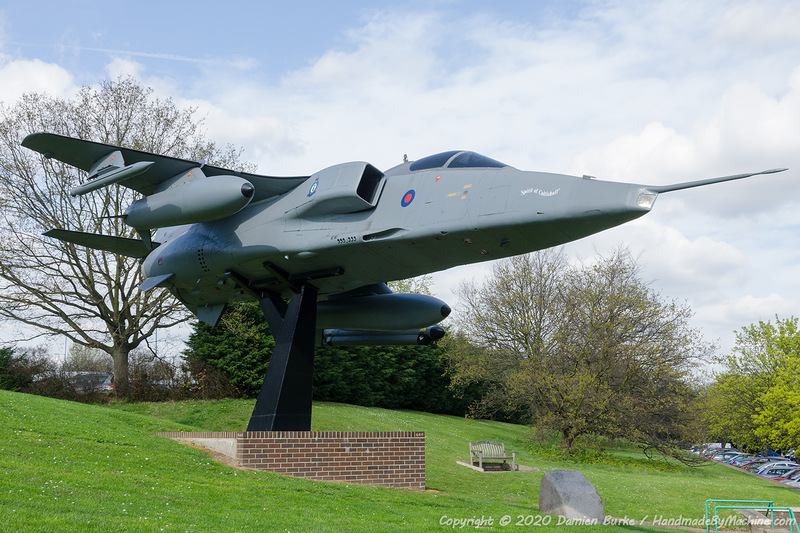 Refurbished and placed on display as the gate guard, with the closure of Colt in 2006 she was gifted to the people of Norwich and has since been erected at County Hall as a permanent memorial to the close links between RAF Coltishall and the city.